Italian made kitchen equipment for a variety of different functionalities. 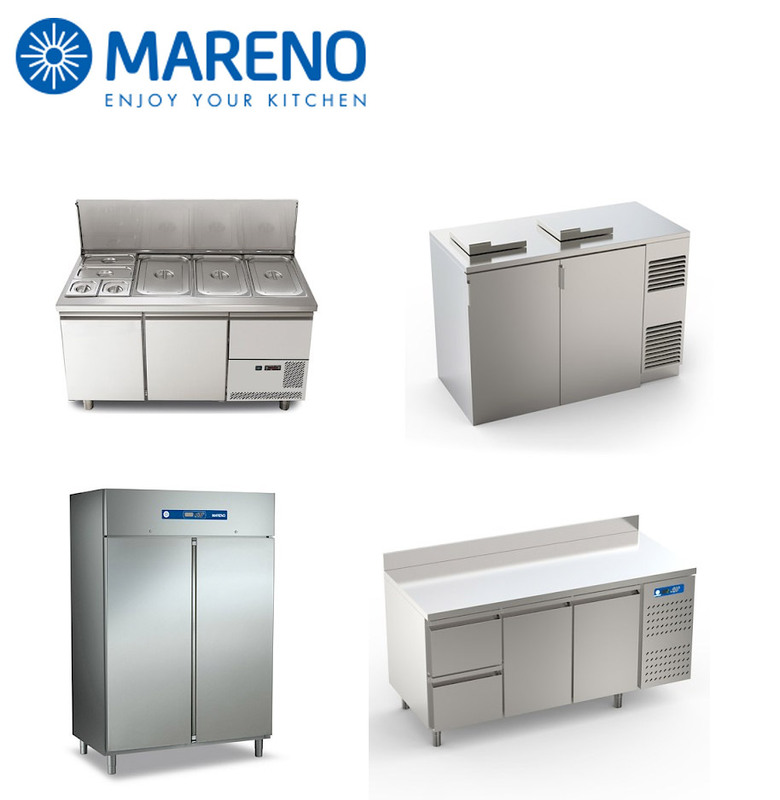 Mareno offer solutions for; warewashing, cooking, refrigeration, distribution, and preparation. Renowned for their products’ reliability and quality, Mareno create kitchen equipment that is built with usability in mind. Each product is designed by working alongside chefs, ensuring that they’re as efficient and convenient to use as possible. K.C.S. are experts of Mareno equipment, able to complete; sales, installations, servicing, and repairs of their equipment. With emergency repairs available, we can be onsite within 24 hours of your initial phonecall* in the event of an equipment malfunction. Mareno offer everything from specific functionality to complete kitchen solutions; K.C.S. can help you meet your kitchen’s requirements, creating the most ergonomic kitchen possible. In order to ensure equipment longevity, annual servicing is required. This ensures the equipment’s safety, and also safeguards against any potential issues; reducing repairs costs.